If you’re looking to take your CBT test in Heathrow, we have plenty of highly-rated training schools in Heathrow and the surrounding areas for you to choose from. Our closest test centre to Heathrow is West London Motorcycle Training, based at Fairholme School in Feltham. WLMT have a passion for teaching new riders and will provide those taking their CBT with a helmet, jacket and gloves for the day. WLMNT are located less than a 30 minute walk from Feltham station, but they also run a shuttle service if you take your CBT test with them on a weekend. The shuttle service will pick you up at 8:45am from Hatton Cross Station on the Piccadilly line and take you straight to the test centre. Heathrow Motorcycle Training are also based in Feltham, just 20 minutes walk from Feltham train station. Heathrow Motorcycle Training are MCIAC Approved, which means they offer some of the best training and customer service you’ll find anywhere in the UK. Slightly further away from Heathrow, we also have schools located in Richmond, Kensington, Wembley, Edgware and Watford. 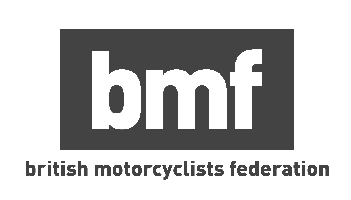 To make sure you’re legally allowed to take your CBT and ride on the roads after, the most important thing you will need to bring is your valid UK provisional or full licence. Without this you will not be allowed to ride. You don’t need to worry about buying a motorbike or scooter before your CBT - the training school will provide this for the day. If you do decide to use your own scooter or motorcycle, check it is fully insured, as not all insurance policies cover training, and make sure L plates are visible both front and rear. Nor do you need to worry too much about protective clothing. Most CBT test centres will provide students with a helmet, jacket and gloves for the day, but call beforehand so you know what to expect. Wear sturdy trousers - such as jeans - and sturdy footwear that covers the ankle. Your instructor may turn you away if he feels you are inadequately dressed. Check the weather the night before. If it looks like it’s going to be a cold or wet day, take an extra layer and some waterproofs, just in case. Of course if you already own your own protective equipment and would prefer to use that then that’s completely fine. Once you’ve completed your CBT, you’ll be able to use the skills you’ve learnt to become a delivery rider in Heathrow and the surrounding areas. There are several companies across the UK in need of reliable delivery riders, and we can help you find the right one for you. We’ve already found some of the best jobs at these companies, so all you need to do is book your interview. After that you can enjoy spending more time on two wheels while earning money.